Winter-freaking-licious! One of the best food festivals around has brought me to Globe. My Aunt and I searched the menus and based our decision on one item on their menu, a Dutch dessert called Speculaas. Yes, the reviews were good, but no one else offered Speculaas. Upon arrival, they took our coats and seated us. They offer seating on 2 levels and in a private room. This place was beautifully designed and earth friendly. The bathroom even had real hand towels! Not to mention, the kitchen is centrally located which made the entire place smell fantastic. Our server, Stacy, was fantastic. My dad can be a bit of a handfull in an out-of-work-stand-up-comedian kind of way. He made friends with the table beside us as well. Poor couple! They were a good sport about it(Thank God!). Stacy was fun and attentive. Our glasses were kept full and our plates cleared. It's always nice to have a server that is fun yet professional. Stacy was awesome. 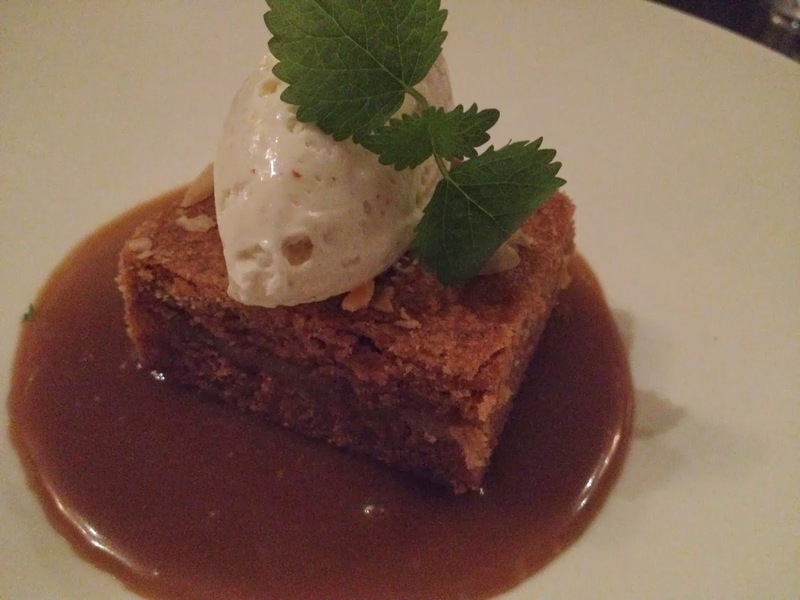 We got a chance to meet the Chef and ask him why he made the Speculaas. He's Dutch, like us, and wanted to give some Dutch flavour to the menu. 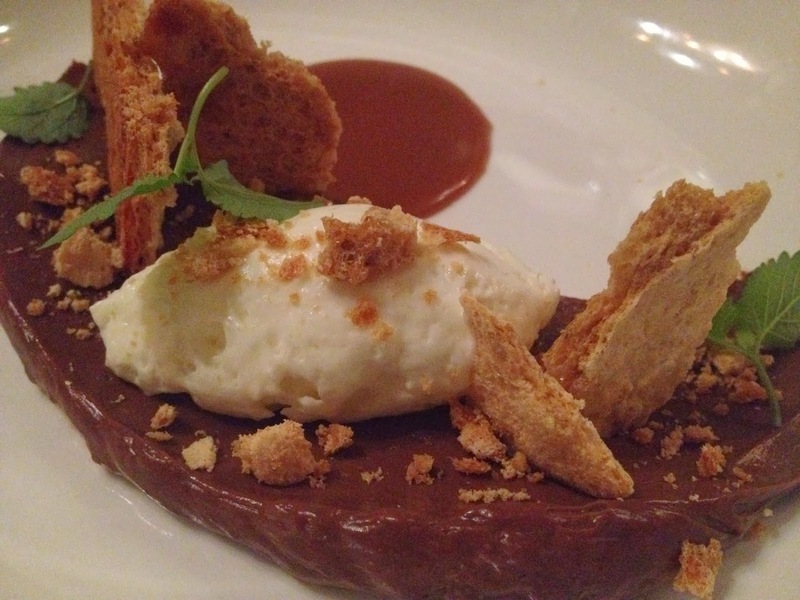 He knew we'd be tough critics about it, so he said he'd come by after dessert for the verdict. 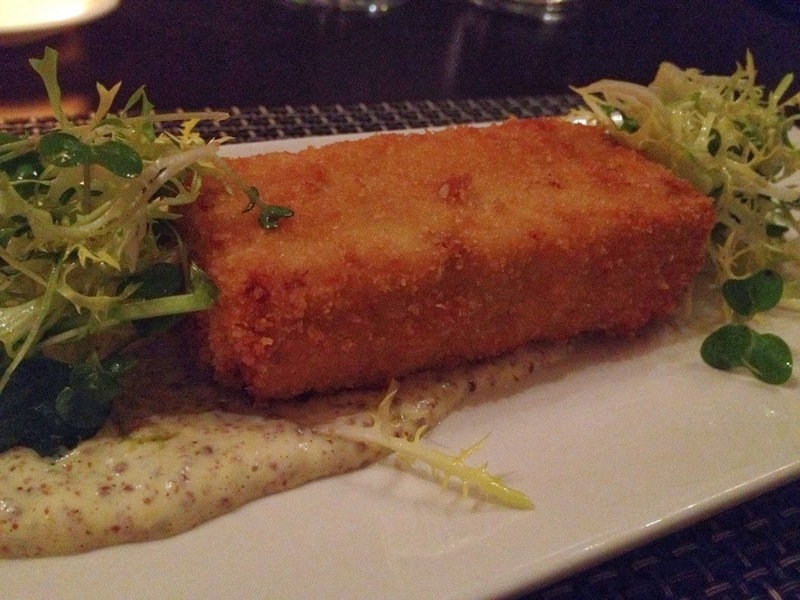 First course was the Smoked Haddock Croquette, another Dutch treat! It was crisp and fresh and the mustard aioli cut through the intense smoky flavour. It was lovely. 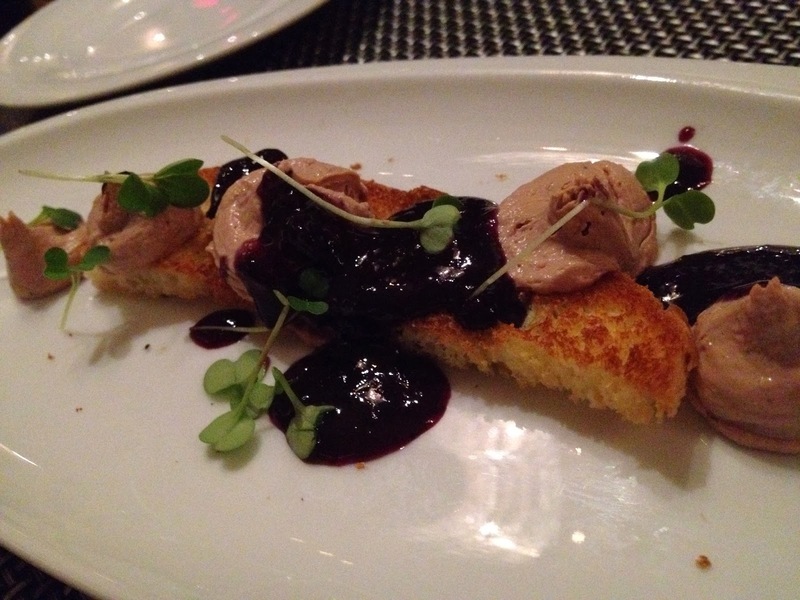 My Aunt chose the Duck Liver Parfait. She said the liver had the perfect texture. The elderberry preserves and brioche made it divine. 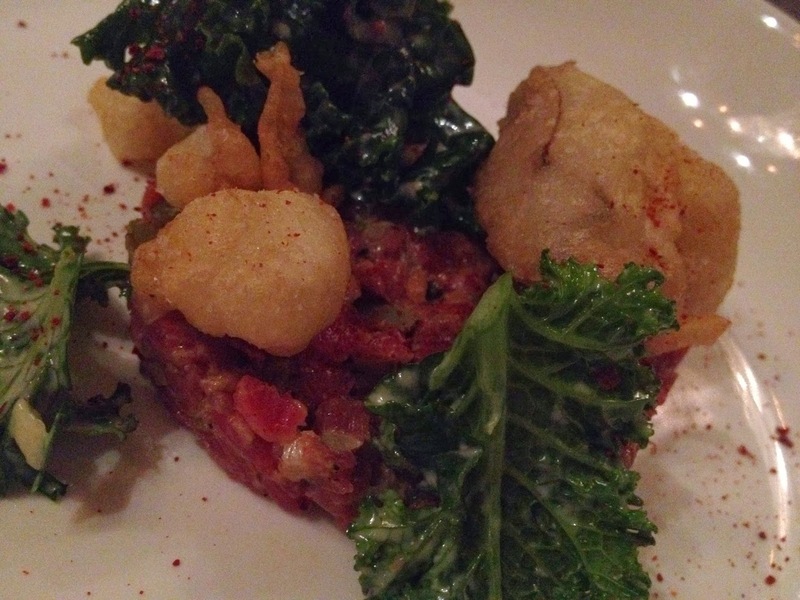 In addition to the Winterlicious apps, we also tried the Steak Tartare. This was a first for me. It was seasoned well. I expected the texture to be unpleasant, but it was actually an enjoyable dish. Pleasant surprise! Next was the main course. 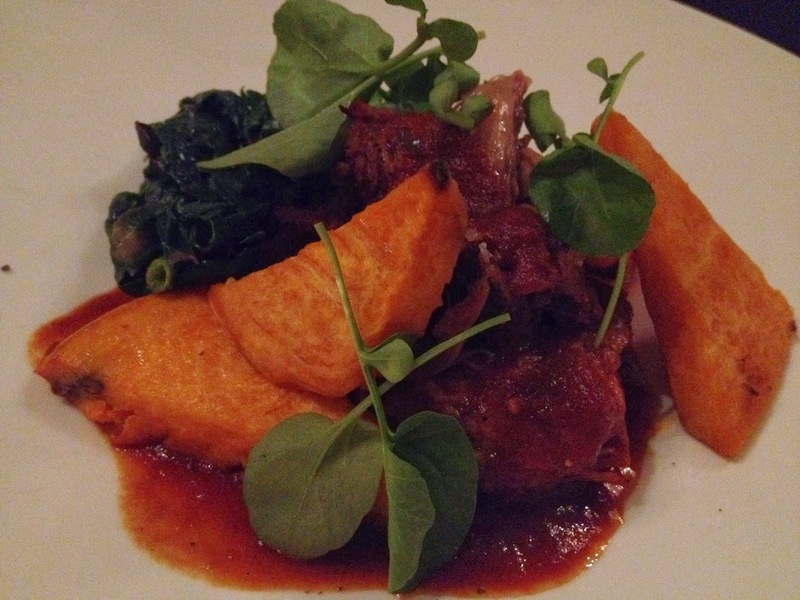 I had the Rosemary & Garlic Braised Ontario Lamb Shoulder. I love food I don't have to chew. The lamp was so tender, it fell off the bone. I literally pulled it apart with my fork and let it melt in my mouth. Fantastic! My dad chose the Roasted Perth County Pork Loin and my Aunt went with the Mushroom Tagliatelle. By the time, I had enjoyed some of the lamb and veggies, my father's plate was clean. 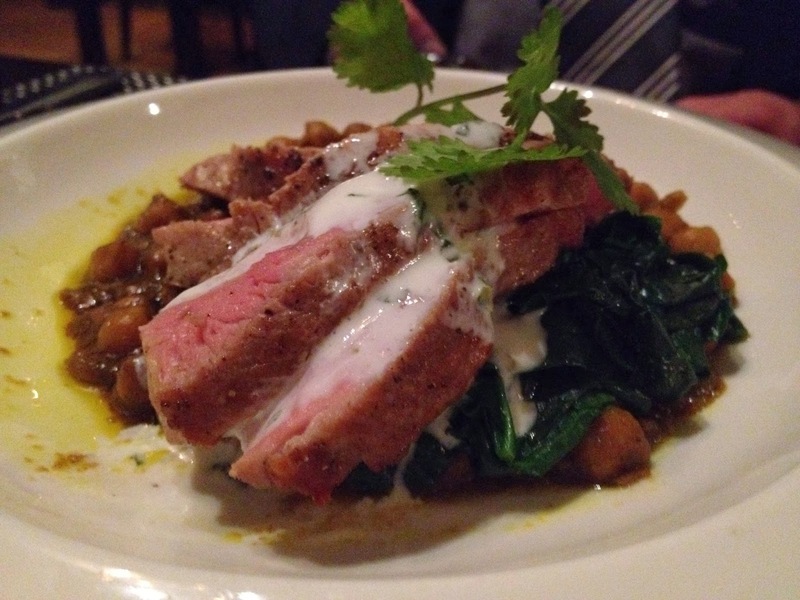 The pork loin had been slow roasted and the chick pea masala was a nice touch. My Aunt loves pasta and this was no exception. 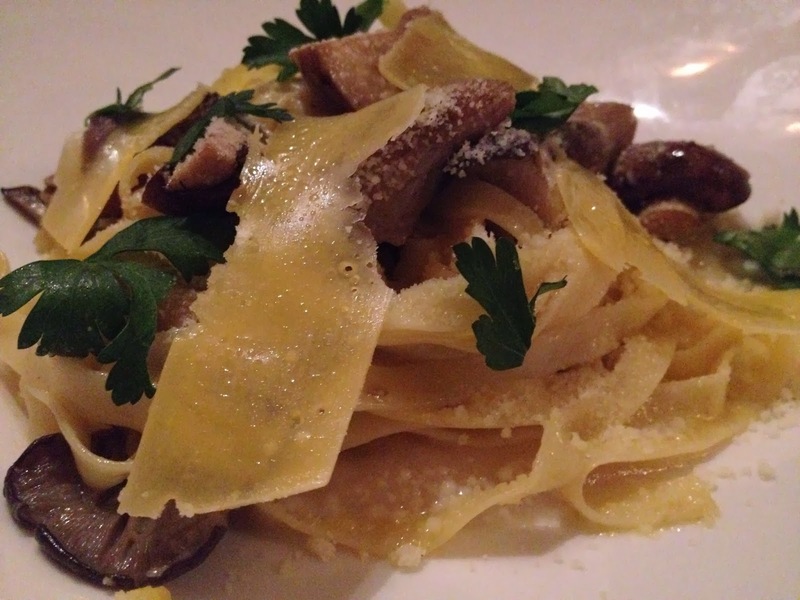 A good helping of fresh pasta piled with local mushrooms and topped with parsley and celeriac puree. What a meal! Dessert time. *cracks knuckles* It's time to get down to business. The Speculaas had arrived. We could smell the cinnamon scents of the dessert we know and love. Well, this definitely passed the test. If you've never had it before, it's a dessert square with flavours of gingerbread and cinnamon. He nailed it. We reminisced about my Oma and compared it to hers. Great job! The Chef returned to see what we thought. Two thumbs up! It was just like Oma used to make and we were so pleased with his recipe. He said he'd been working on it and we were glad he did. I'm a chocolate person. So, we also tried the Dark Chocolate Custard. Rich, rich, rich! The mixture of the custard with the hazelnut merengue and whipped cream was absolutely to die for. What a great experience. Right from start to finish, it was a memorable night. I'd absolutely come back. Knowing it's farm-to-table makes it even better.